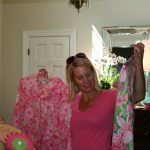 If you know me, you know I love Lilly. She is my ultimate favorite. She is a hero of mine. 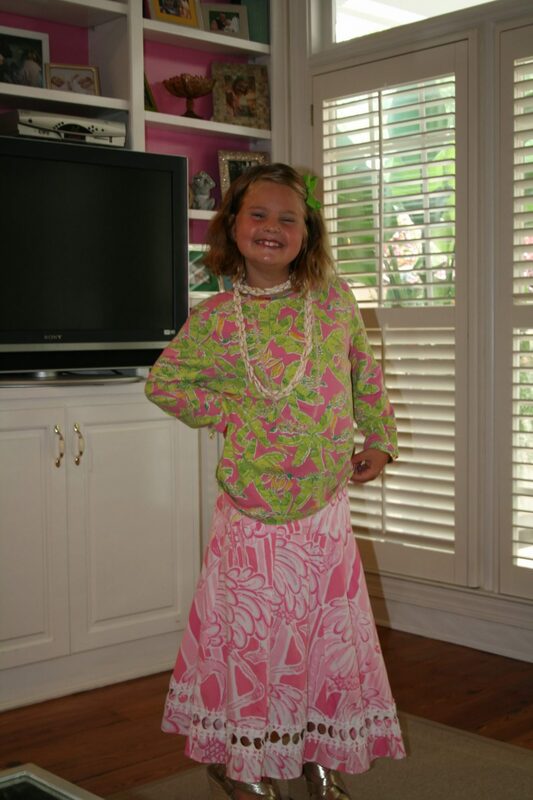 Vanity Fair magazine published an article in 2011 (click here to read) that inspired me to share my passion for children and good old fun like Lilly Pulitzer. 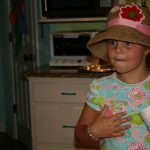 I read this article about 20 times and I enjoyed it more and more every time, so I decided to do all the things she liked in two days; yard sale, lemonade stands, parties, and all things Lilly and Palm Beach. 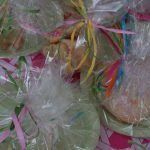 This fun-filled 2 day summer fête started at our house. 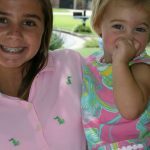 I wanted the girls to have a Lilly Pulitzer experience. 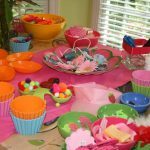 I love to decorate for the decades— probably because I’m a 70’s baby!! 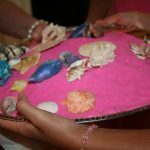 Before they all arrived, I made them a huge welcome sign made out of sea shells that I had used as decoration at my wedding. (I’ll tell you about our wedding surprise one day soon!) I wanted this to be extra special and fun!! 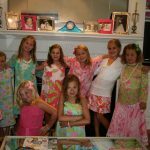 I laid out all the Lilly Pulitzer catalogues from years of collecting and all my Lilly clothes, and the girls got to wear whatever they wanted to begin the first day of Lilly Camp! 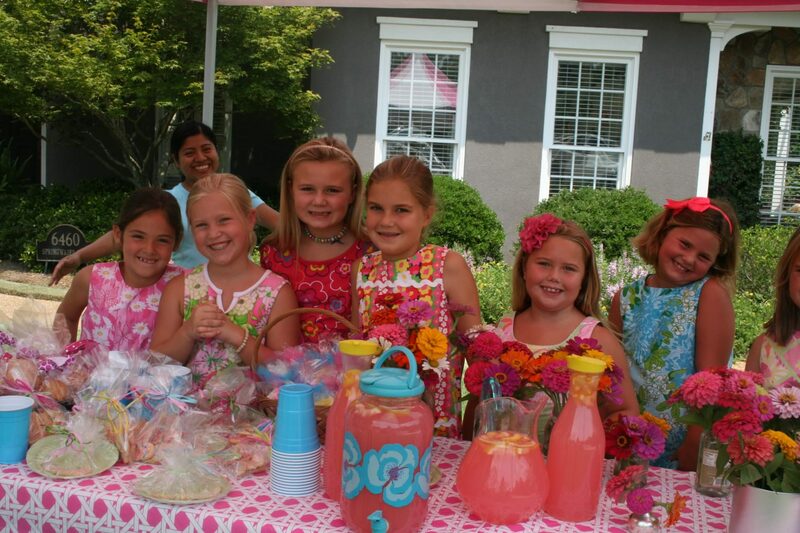 Once we were all dolled up, we set up the lemonade stand, and the girls worked it in shifts (just like Lilly would’ve done). 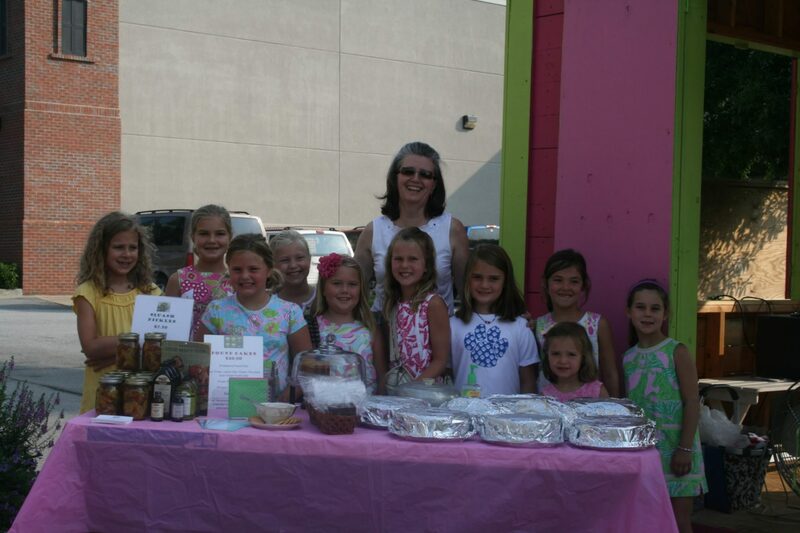 We also sold Lilly Pulitzer animal crackers, fresh picked Zinnias, home baked goodies, and handed out smiles!! These two days were full of super fun activities. Day 1 consisted of playing loud music, dancing with hula hoops, playing games with a bunch of colorful balls that were set as decoration, a shaving cream fight, a hat-making party, and water activities. 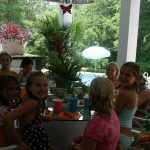 We ended day 1 of Lilly Camp with an awesome pool party with bright colorful tiki umbrellas all around the pool, tropical decorations, inflatable flamingo ballons (that I still have blown up to this date!!! ), and water balloons. We had so much fun!! 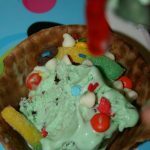 These are the things you can only dream of doing as a kid!! 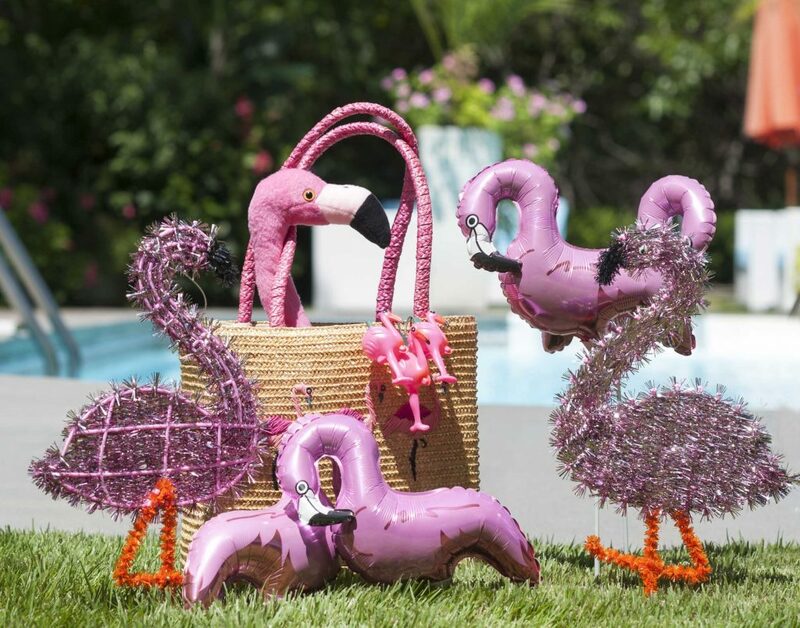 I love my flamingo balloons! So many years of so much fun!! 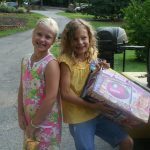 Saturday morning was day 2 of Lilly camp and we went yard saling! 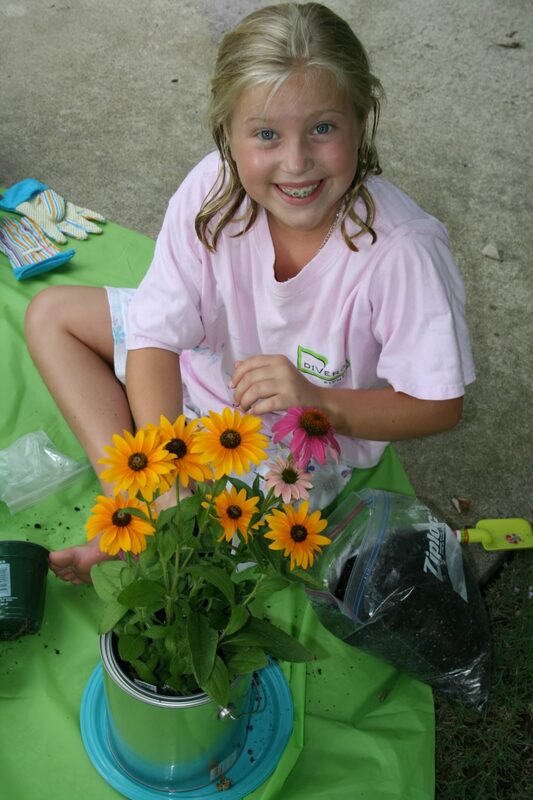 This was one of Lilly’s favorite activities! 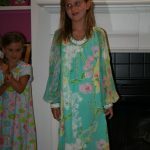 All the girls wore gorgeous Lilly Pulitzer shift dresses. 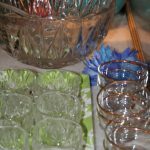 We sought out cool finds, colorful vintage nick knacks, and whatever else we could find that caught our eye and sparked interest! 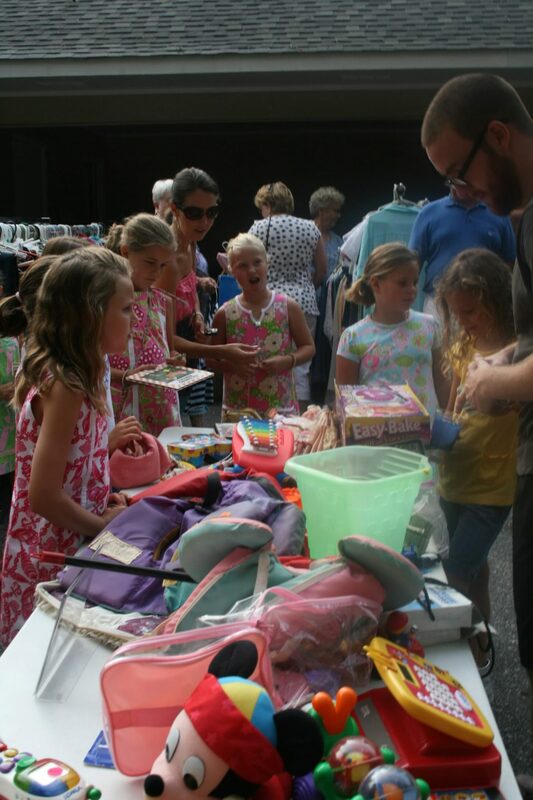 After the yard sales, we visited numerous Saturday morning events in Columbus, GA sharing the story of Lilly Pulitzer. 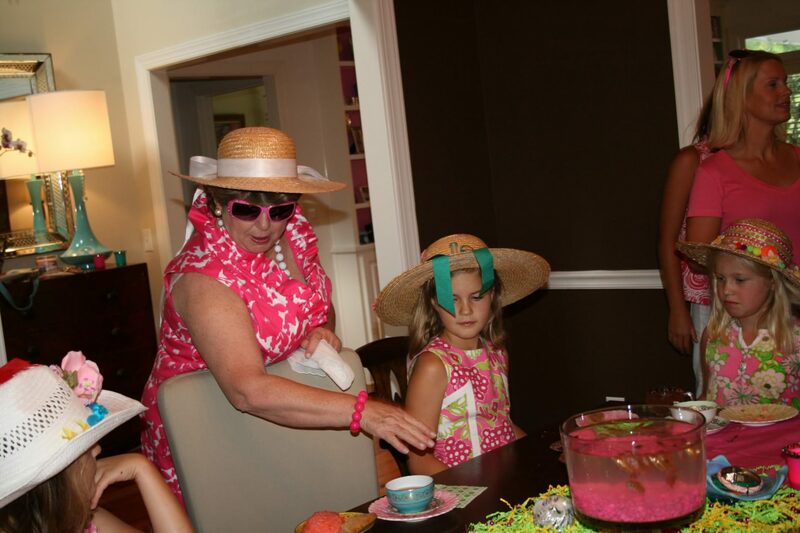 Later that afternoon, we had a tea party and everyone wore the hat that we decorated from the day before. 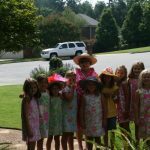 For this party, I invited “Miss Manners”, who taught the girls how southern girls should behave! She talked to them about etiquette, good manners, being kind, being polite and all things southern! It was so much fun!! Miss Manners also dressed up and acted crazy to prove her point, teach the girls, and continue with the belly laughs we had going all weekend long! 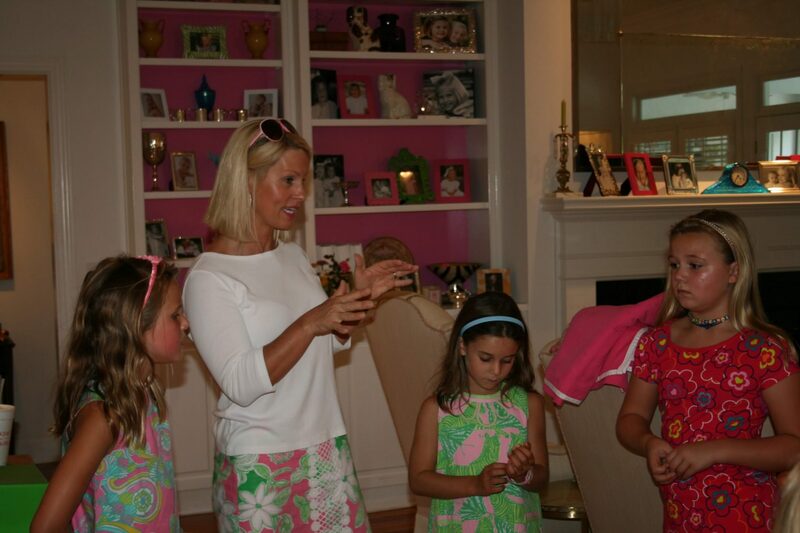 After the tea party, I planned to share with the girls my love and admiration for Lilly Pulitzer. After all, she was a fascinating fashion icon. 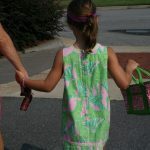 I pulled out my Lilly collection to show and explain to them how you can always find the word Lilly in every pattern. We talked about fashion, design, colors, and they all got to pick and say which one was their favorite piece and why! 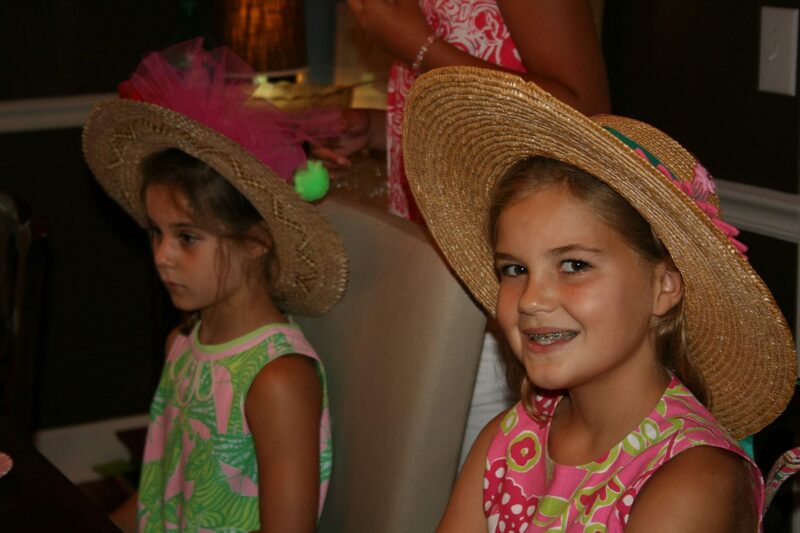 Lilly Camp ended with a bang!! We had a real fashion show!! This just wasn’t a regular fashion show, we jumped all in!! 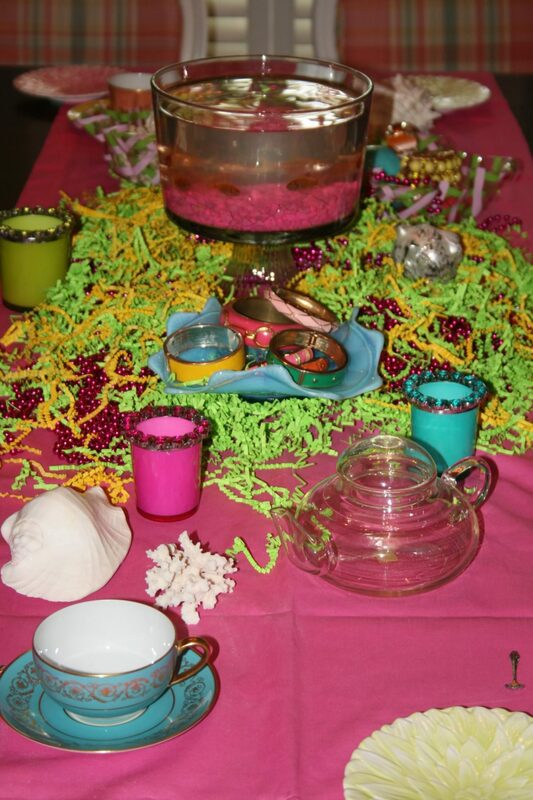 We set the runway, created space for attendees, decorated the tables using live goldfish as centerpieces and made it look amazing! Our theme was Palm Beach. We were having some very special guests: their mothers!! 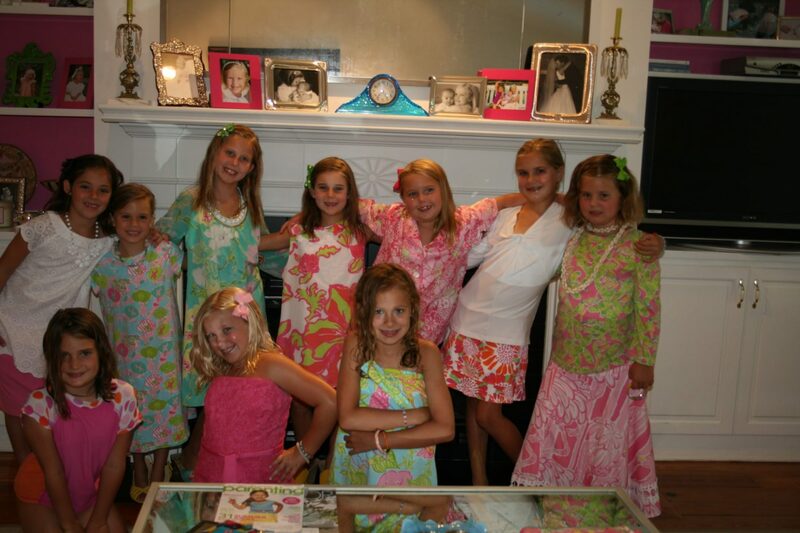 When they showed up, the girls got to pick whatever they wanted from my Lilly clothes and dressed their moms! It was hilarious and so much fun!! 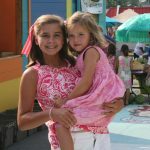 I think to myself that to this day, whatever the children selected back in the summer of 2011, is probably very similar in style to what they would really wear today! 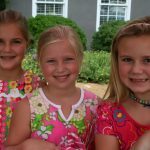 Crazy to think they were all so little!! 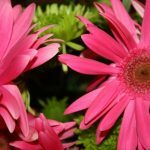 Time flies when you are having fun! Liza at the fashion show! 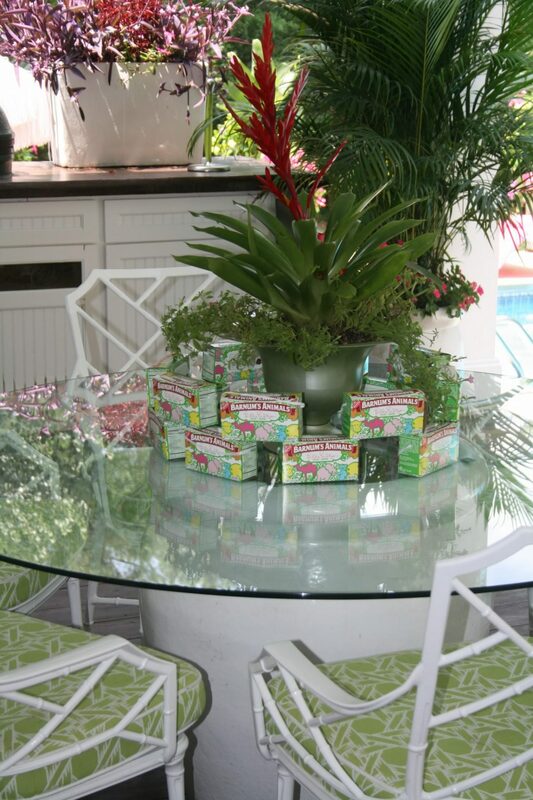 Lilly Pulitzer was big on parties and party favors, so I teamed up with #SouthernLiving guru Carmen Johnston to put together the most awesome favors. 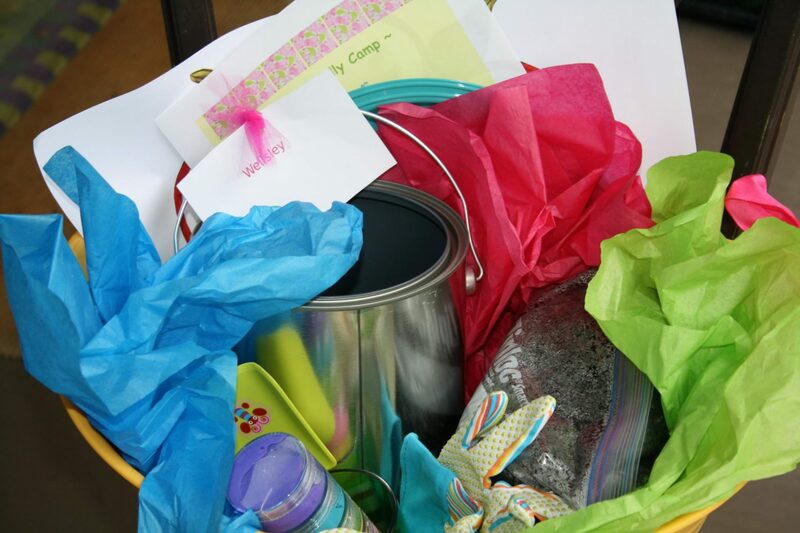 They were gorgeous buckets from her own business, #NectarandCompany, and they included gloves, plants, shovels, seeds and everything the girls would need to start their very own garden!! 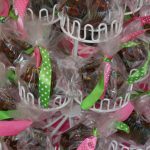 The awesome buckets by Nectar and Honey! 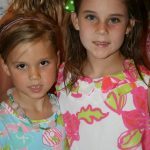 Lilly Camp was such a success that a good friend of mine, Helen Brooks, wrote a note about me and Lilly Camp on her blog! 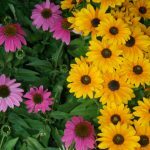 She is an artist and writer who layers bible verses and bursts of color creating the most amazing mixed media pieces to share with people what God has done in her life. 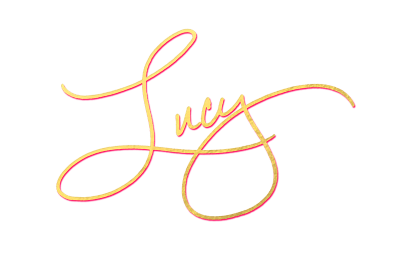 She has her own website, Milk and Honey Collective, which is growing. Also, she just partnered up with a company out of Charleston, South Carolina that has a similar mission in putting scripture on the walls of people’s homes. 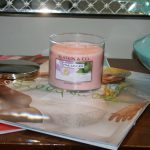 The Charleston company was formerly called Naptime Diaries. Now, she and her partners are re-launching the business under a new name, “Amen Paper Company”. 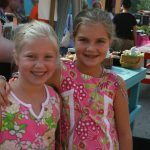 You can follow them on Instagram or go to their website and stay on track with the newest and latest! So proud of her! 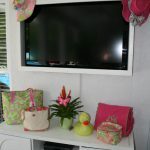 Click through the Lilly Camp gallery! 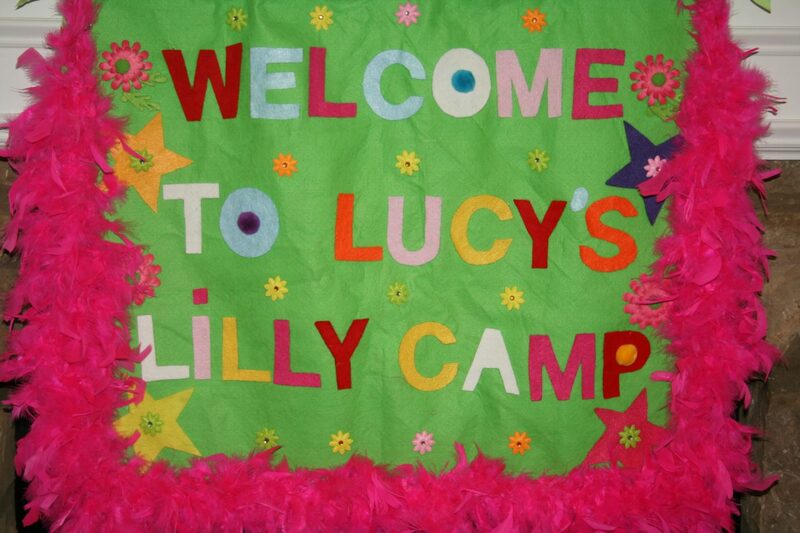 Lilly camp was a great success! I want to finish this by leaving y’all with a favorite word of mine; vivre! 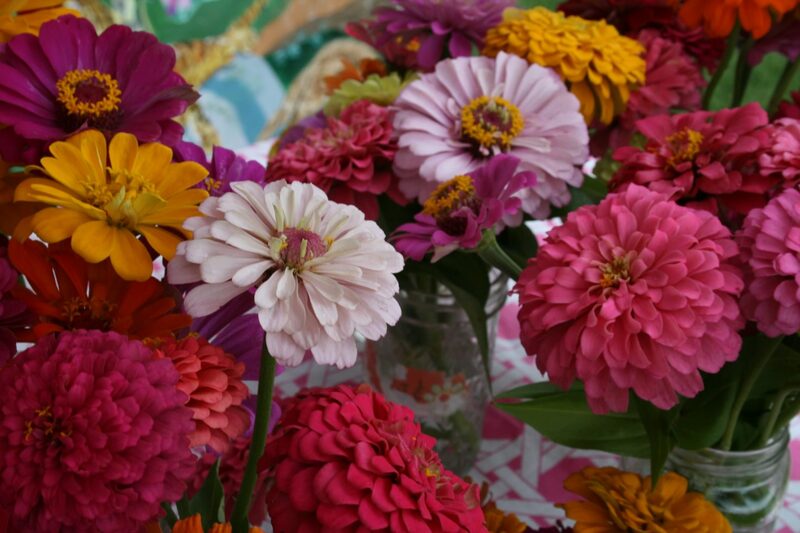 Vivre is about a life well-lived, on trend but never trendy, relevant and inspiring and exquisitely crafted. 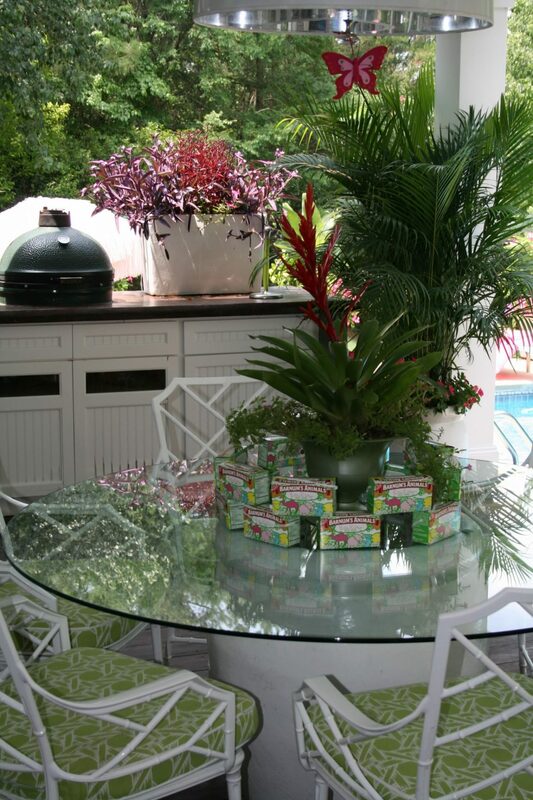 It’s about modern sensibility and celebrating everyday moments. 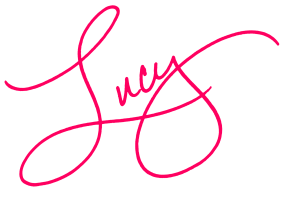 All these thoughts really remind me of the thoughts behind Lilly Pulitzer, the Kate Spade brand and the Bando Brand; life filled with memories, love, friends and fun.